October | 2010 | shigekuni. A god breathed from my lips. Houses, an embassy, the hospital. In pools of the night’s rain . . . Framed by umbrella pines, of city and sea. An out-of-earshot, year-round hillside revel. I brought home flowers from my climbs. Put them in water, sighing Virgin, Virgin. You, me, loved us all, the bird, the cat! All day with it, or pain, or both. And wastrel son. She called me her real son. I paid her generously, I dare say. And gazed, or traded stories. Trudging into the pines. I called. Called three times before she turned. Lidded with pearl, mouth a poinsettia leaf. To weddings of itself and simple need. I hardly knew what I was thinking. Blindfolded me. A god breathed from my lips. Cleaning and watering, sighing with love or pain. Into a pool of each night’s rain? As who was not, in laughter, pain, and love. When you’re one of the few to land on your feet / What do you do to make ends meet? / Teach. / Make them mad, make them sad, make them add two and two. / Make them me, make them you, make them do what you want them to. / Make them laugh, make them cry, make them lie down and die. 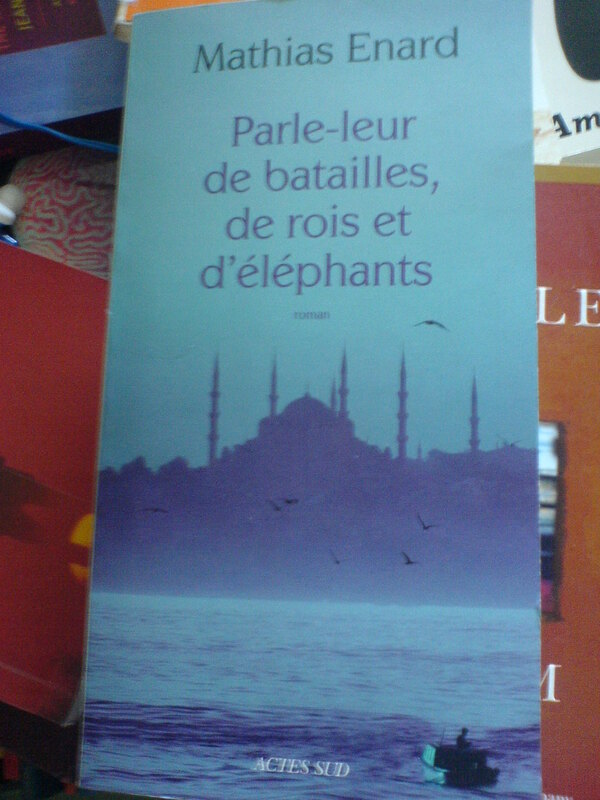 This has never happened to me before : upon finishing Parle-leur de batailles, de rois et d’élephants (~ talk to them about battles, kings and elephants) I was ready to toss a coin in order to decide whether this, Mathias Énard’s fifth book, was a success or not. It may often take me some time to puzzle out details of books, but I have never been as much at a loss about the basic quality of a book as I was in this case. The reason for my bewilderment is due to the highly original structure and writing of the book, and to Énard’s enormous basic skills as a prose writer. The same project and approach, in the hands of a lesser writer, could easily be chalked up as a bad failure. What Énard did was to take a little known episode in the life of the Italian Renaissance artist Michelangelo, and develop it in a highly elliptical way. In only 155 narrow pages, the book attempts to do justice not just to a rich and sumptuous setting, but it also tries to contain clashes of civilizations, and the biographies of three of the most remarkable men of their age: Michelangelo himself, Sultan Bayezid II (also known as Bayezid the Just) and the early important Ottoman poet Mesihi of Pristina. Ottoman poetry, the development of a complex architectural structure and the difficulties of being an artist in a violent world that appears to be constantly at war are just a few of the themes that crowd this small book. There is no doubt that no book of this length could do any justice to as convoluted and complicated a set of topics and problems, yet Énard tries. We can see how good a writer he is by the mere fact that his method, an impressionistic, fragmented, superficial narrative that is more about the act of telling stories than about the story it purports to tell, appears to us, on finishing the book, to be the only way to convincingly work through the topics, places, biographies and ideas. Énard is highly convincing, and yet the book falls significantly short. It’s a failure, but, at the same time, it’s a valiant effort, and as far as brave failures go, the end result is, for example, a far better book than Mark Z. Danielewski’s Only Revolutions. 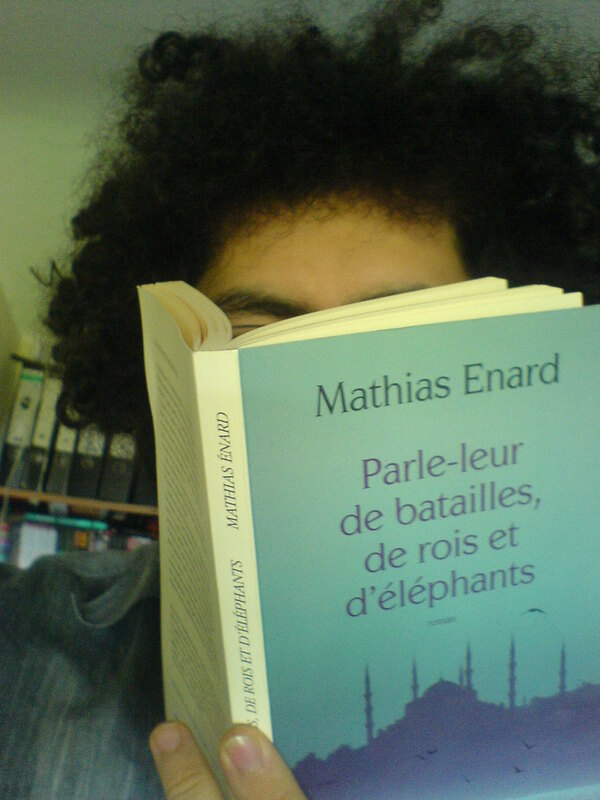 To sum up: Mathias Énard’s new novel Parle-leur de batailles, de rois et d’élephants is a failure, but an interesting, intriguing one. It’s certainly a book worth reading, especially given it’s extremely short length. 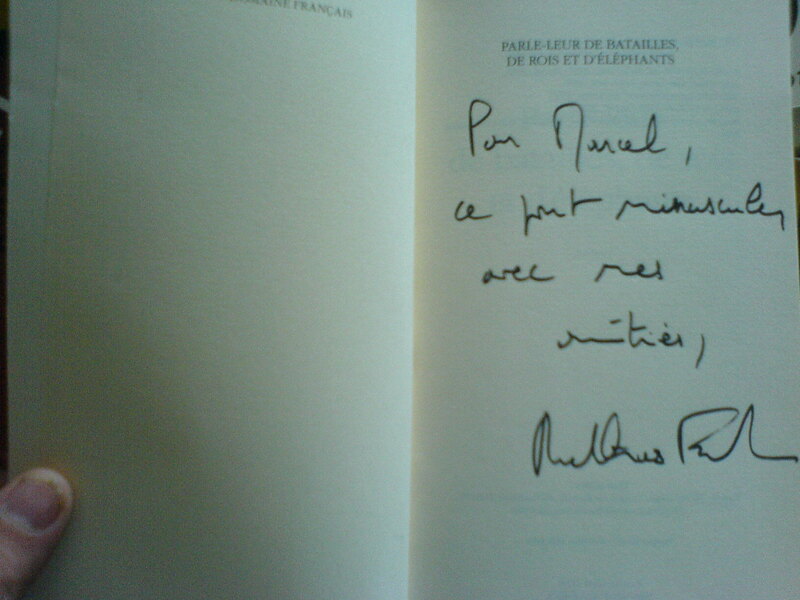 Born in 1972, Mathias Énard is a very young writer given the depth and volume of his work so far. Apart from two translations (of an Iranian and a Lebanese writer), he has published four other books before Parle-leur de batailles, de rois et d’élephants, the first of which was published in 2003. His penultimate novel, Zone, published in 2008, could well be regarded as his breakthrough achievement, winning several prizes and being translated into English (2010, Open Letter Press, trans. 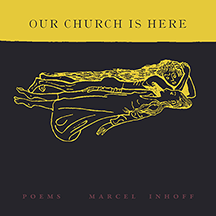 Charlotte Mandell) and German (2010, Berlin Verlag, trans. Holger Focker) among other languages. Zone is a 500 page novel consisting of a single sentence, a long, sometimes rambling, exploration of war, memory and violence. The contrast to Parle-leur de batailles, de rois et d’élephants, its immediate successor, following less than two years later, couldn’t be stronger. Although a second look at the book disproves the feeling, one is left with the impression of the book being constructed from a surfeit of small and smaller sentences, observations, impressions, fleeting thoughts. Part of that impression is likely due to the fact that the book consists indeed of small structures. The whole of the book is divided into tiny chapters which usually contain less than two full pages of text. And each of the chapters is well constructed, these are not continuous narratives interlaced, but small, self-sufficient prose pieces, each advancing the plot. There is barely (if any) temporal overlap, so the cut at the end of each chapter marks a jump in time. Sometimes we jump days or weeks ahead, sometimes just a few hours, but the overall effect stays the same: we are not allowed to take root in this world that Énard sketches for us, as he shoves us from event to event, from character to character. There is no authorial comment that would take us by the hand and lead us through this, but the short, elliptical chapters achieve the same thing, they bolster Énard’s authority as a storyteller, demanding we follow him, no questions asked. It may seem banal to say that the reader only sees what the author wants him to see, but it’s a relevant observation here, because Mathias Énard knows about the places and people that crowd his book, yet he does not allow us, as readers, the same knowledge. Tell them first of those things that thou hast seen and they have seen together. Thus their knowledge will piece out thy imperfections. Tell them of what thou alone hast seen, then what thou hast heard, and since they be children tell them of battles and kings, horses, devils, elephants, and angels, but omit not to tell them of love and suchlike. All the earth is full of tales to him who listens and does not drive away the poor from his door. The poor are the best of tale-tellers; for they must lay their ear to the ground every night. In this short preface, Kipling presents us with two worlds, two kinds of storytelling. There is the cynical, critical, careful way of storytelling that is prevalent in the west, and is caused by employment of the written word, which allows critics to scour texts for mistakes, infidelities or problems. The other way is Gobind’s, the spoken word, which endows the teller of tales with a certain authority, speaking to his audience as to children (because all people “are children in the matter of tales.”). And in order to provide a spellbinding telling, you speak “of battles and kings, horses, devils, elephants, and angels”. In Gobind’s assertion, this is not meant condescendingly, and Kipling doesn’t mean it that way either. His book is, after all, subtitled “being stories of mine own people”. And when he ends by saying that the most important stories are those omitted, he doesn’t aggrandize himself necessarily, he assigns a value to silence. All this is vastly different with Mathias Énard who only keeps the oral storyteller link and the ellipsis. In fact, it makes a great deal of sense to read the project of Parle-leur de batailles, de rois et d’élephants as being, in part, the opposite of what Kipling intended in his book that, again, Énard references explicitly. Je sais que les hommes sont des enfants qui chassent leur désespoir par la colère, leur peur dans l’amour ; au vide, ils répondent en construisant des châteaux et des temples. Ils s’accrochent à des récits, ils les poussent devant eux comme des étendards ; chacun fait sienne une histoire pour se rattacher à la foule qui la partage. On les conquiert en leur parlant de batailles, de rois, d’éléphants et d’êtres merveilleux ; en leur racontant le bonheur qu’il y aura au-delà de la mort, la lumière vive qui a présidé à leur naissance, les anges qui leur tournent autour, les démons qui les menacent, et l’amour, l’amour, cette promesse d’oubli et de satiété. Parle-leur de tout cela, et ils t’aimeront ; ils feront de toi l’égal d’un dieu. Kipling’s preface proposes a power of stories that goes both ways, a dependence on wisdom that includes the storyteller himself, who is asked to listen to the poor people. There is nothing of that in Énard’s novel, which talks down to its audience and eschews listening. This is not necessarily a bad trait, but it appears to be an odd and very deliberate change of gears. Given the fact that the book itself is basically constructed according to the rules not of Kipling’s preface but of the condescending note in Énard’s own book, this makes for an interesting, though slightly off-putting mixture. This aloofness that engulfs the whole novel does, however, fit into the gilded setting of the book, which does not appear to portray the Renaissance as much as it does reflect well-worn ideas of how the Renaissance has been and should be portrayed. In other words, this is not so much about the Renaissance as it is about “the Renaissance”, if understand what I mean. There is no immediacy here, and most of the central characters suffer greatly from this. There is no depth, no plausibility in the Michelangelo that we are offered, for example (despite Énard’s use of letters and suchlike, devices which usually fulfill just that kind of function) and yet it’s hard to see Énard being perturbed by this fact. Parle-leur de batailles, de rois et d’élephants doesn’t need to be believed, it demands to be admired, “l’égal d’un dieu”. This intention is buttressed by the haughty poeticisms that crop up everywhere. Instead of probing for plausible emotions, or truly poetic and original images, Énard gives us tried-and-true phrases that can be extraordinarily beautiful, but in an arch, disinterested way. As the book progresses, we are presented with expressions of sadness, of love, of artistic ambition and fear, but all of them stay on the surface, none of them manages to spill over to the less-than-gullible reader. This can mean two things: either he aimed for the lazy reader, easily swayed by cheap imitations of poetic depth, or the archness is the whole point of the book. Je voudrais tant que tu conserves quelque chose. Que tu emportes une partie de moi. Que se transmette mon pays lointain, non pas un vague souvenir, une image, mais l’énergie d’une étoile, sa vibration dans le noir. Une vérité. It’s well to remember that this book talks about an obscure historical episode. Realism, emotional truthful writing, well developed characters would certainly heighten the verisimilitude of the whole undertaking, but they would not actually add to the ‘truth’. In Énard’s historical narrative, the silences, omissions, gaps may serve a purpose in highlighting the empty spaces of written and recorded history. For the most part, he keeps to the historical record (he appends a list of sources to the book), and the superficial way of labeling and introducing characters could be read as a reflection of the paucity of these very sources. But here’s why the book is a failure: if Énard had decided to stick to his sources, to develop a narrative of gaps of knowledge, of empty spaces, his writing style might have cohered perfectly. But in a remarkable display of lack of authorial discipline, he adds sentimental inventions. He adds a tale of obsession, love and assassination, completely invented, and written in the same slick, smooth style. Thus, the main achievement of Parle-leur de batailles, de rois et d’élephants appears to be an aesthetic one. Énard provides an exercise in l’art pour l’art, fin de siècle decadence. He imitates tropes and gestures from periods like that, but laced with a noncommittal arrogance. The central dismissive stance is never balanced, never subverted, or amended, as the author appears to think that artistic perfection, perfect historical miniatures, would be enough. If only they were, perfect, that is. This book has, as I’ve been trying to show, such an enormously broad scope, it’s project is so ambitious that it can be read in all manner of ways, without utterly excelling at any single one of them. It’s, after all is said and done, a valiant attempt, fueled by a strong literary vision, and as such it’s very recommended. It’s also recommended for the occasional passages of truly beautiful prose, and for the odd startling juxtaposition of art forms and cultures (topics that I have not been able to raise here). It’s not a great book, not even a very good book, but the attempt is more than laudable. Read it. If you want a different, much more positive take on the book, please read the Fric Frac Club review by Francois Monti, excellent as always, which praises the book very highly, reading Énard as “un classique moderne”. Edit 1. Although this novel has not yet been translated, here is a very interesting interview with Charlotte Mandell, who translated Énard’s Zone into English. As when from flowery meads th’hills shadow steals. For lay-men, are all women thus arrayed. What need’st thou have more covering than a man? Die Mainufer, künstlich begradigt & befestigt, kaum höher scheinend als 1 Bordsteinkante, – so bietet der korsettierte Fluß-selber den Anblick einer breiten, asfaltierten Chaussee – ohne Menschen, ohne Fahrzeuge, in Finsternis belassen u leer. 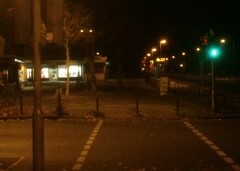 – Vielleicht zweihundert Meter weiter über den Fluss sich streckend die “Friedensbrücke” – ihre Kanten leuchtend konturiert vom selben kaltglühenden Blau wie das Geschäftshochhaus mit dem zungebläkenden Firmenzeichen, als hätte 1 Schulkind dies gemalt & aus Bequemlichkeit für beides, Firmenhaus & Brücke, dasselbe Blau aus dem Tuschkasten verwendet. – Wir bleiben stehn auf dem kleinen gemauerten & umzäunten Plattformviereck am Rand des Mains, sehen die Stadt: Als stützten Metallröhren glitzernd mit winzigen Tröpfchen beschweißt im hitzigen Dunkel die tief herabgedrückte Decke Eineshimmels ohne Regen ohne Wind. Starr u verschlossen Dienacht, eine Kammer aus Blei. Frankfurt die Bleistadt. from Reinhard Jirgl‘s most recent novel Die Stille.